A ten-day residential course is an introductory course to Vipassana Meditation where the technique is taught step-by-step each day. The courses begin on the start date after registration period and orientation, followed by 10 full days of meditation. Courses end on the morning of the 11th day by 7:00 am. To learn Vipassana, it is necessary to take a ten-day residential course under the guidance of a qualified teacher. The courses are conducted at established Vipassana Centres and other places. For the duration of the retreat, students remain within the course site having no contact with the outer world. They refrain from reading and writing, and suspend all religious practices or other disciplines. During the course, participants follow a prescribed Code of Discipline. They also observe noble silence by not communicating with fellow students; however, they are free to discuss meditation questions with the teacher and material problems with the management. The next step is to develop some mastery over the mind by learning to fix one's attention on the natural reality of the ever changing flow of breath as it enters and leaves the nostrils. By the fourth day, the mind is calmer and more focused, better able to undertake the practice of Vipassana itself: observing sensations throughout the body, understanding their nature, and developing equanimity by learning not to react to them. Each day’s progress is explained during an hour-long discourse in the evening. Finally, on the last full day, participants learn the meditation of loving kindness or goodwill towards all, in which the purity developed during the course is shared with all beings. 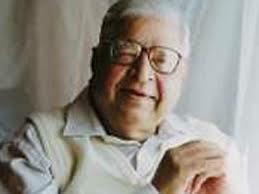 Mr. S. N. Goenka was authorised to teach Vipassana Meditation by a respected Vipassana teacher of Burma, Sayagyi U Ba Khin. Born in Burma of Indian heritage, and well established as a businessman and householder, Mr. S. N. Goenka did his first course under Sayagyi in 1955 at the International Meditation Centre in Rangoon. In Vipassana, S. N. Goenka found an invaluable jewel—the jewel of the Dhamma—which dispels the darkness of ignorance. Here was a scientific method, a practical technique which eradicates suffering and purifies the mind. Fascinated by this universal remedy rediscovered by the Buddha, S.N. Goenka continued to practice (paṭipatti) and study the texts (pariyatti) for the next 14 years under the guidance of Sayagyi. In 1969, S. N. Goenka was appointed by Sayagyi as an authorised teacher of Vipassana. That same year, S. N. Goenka left Burma (present-day Myanmar) for India and began conducting courses. Since then he began giving hundreds of courses to people from different backgrounds and nationalities. In nearly three decades of teaching, S. N. Goenka has helped establish the Vipassana International Academy, in Igatpuri, India—as well as more than 170 other centres in India and abroad—for the purpose of offering courses in paṭipatti, the practical aspect of Vipassana Meditation. He has also appointed several hundred assistant teachers to help conduct courses around the world. He and his assistants do not receive any remuneration whatsoever, and expenses for the courses and centres are met with voluntary donations from grateful students. S. N. Goenka has also helped to establish the Vipassana Research Institute at Igatpuri, to help make the pariyatti teachings of the Buddha available to the public. The Institute is publishing the entire Pāli Tipiṭaka, along with its commentaries and sub-commentaries, in Devanāgari script. It has also produced this material in a multilingual CD-ROM with search facilities. In addition, the Institute is exploring references to Vipassana in various ancient texts, and it is conducting scientific research on the present applications and benefits of Vipassana in different fields of human development. With more and more people practising Vipassana, both the paṭipatti and pariyatti aspects of the Buddha’s teaching are gaining prominence. Mr. Goenka stresses the practical and non-sectarian nature of the teaching and its relevance to householders as well as renunciates. He emphasizes that Vipassana Meditation does not encourage people to withdraw from society, but rather teaches them to face the ups and downs of life in a calm and balanced way. 10-Day courses across all the Centers are conducted by assistant teachers of Mr. S. N. Goenka using his audio visual instructions and discourses. A person should have completed 19 years of age to apply for a 10-day Vipassana course. Youngsters in the age group between 15-19 years can apply for teenagers' courses while students between the age 10-17 years can join children's courses. To help preserve the technique in its original, authentic form, it is not taught commercially, but is offered freely instead. No person involved in its teaching receives any material remuneration. There are no charges for the courses - not even to cover the cost of food and accommodation. All expenses are met by voluntary donations from people who, having completed a course and having experienced the benefits of Vipassana, wish to give others the opportunity to benefit from it also. 2. Select a Center: Select a Vipassana Course at a convenient location from the list of Centers. a.) Online application: This is the most recommended method for application. Go to the course schedule page of the selected center and Click on “Apply” beside the desired course date to fill in the online application form. b.) Applications through Email/fax: Students can download application form in Hindi or English and send the completed application form to the email address or fax number of the Center. c.) Application through mail/courier: If online application is not possible, download the application form and send it to the postal address of the selected center. 4. Await notification: Every center has a different time period for processing applications and students will be informed about further steps through email/phone call or letter, as per policy of the respective center. 5. Final confirmation: After completing all the formalities, the Center will issue a final confirmation number to the confirmed applicants. Students need to produce that confirmation number at the time of registration. 6. Course Cancellation: It takes a tremendous amount of planning and expense to organize a 10-day residential course. Courses across all the centers run strictly on a donation basis. So, it is essential for the centers to know the exact number of participants for each course. Hence, for any reason, if you are not able to attend the course, after receiving final confirmation number, please inform the center about the cancellation immediately, even on the day of the course. Cancellation can be done by calling the center or sending email or by sending a letter by post/courier. While many students often find the ten-day vipassana course a life-changing experience, the real changes are understood over time. The balanced view of “know yourself, by yourself, for yourself”, as some students call it, helps one live peacefully and harmoniously with oneself and with others. The transformation in one's attitude at the end of the course reduces stress while increasing mental equanimity. Other common benefits are growth in concentration and work efficiency, positive behaviour changes, effective decision-making, gentle speech and harmonious feelings towards others. Since the wisdom is gained through personal experience, one finds prejudice being replaced by compassion; jealousy at the success of others changing to joy; greed and arrogance getting transformed to generosity and humility. After experiencing the immeasurable benefits of the technique themselves, students naturally feel the desire to spread this wonderful technique for the benefit of people. The dedicated support of such students has led to establishment of the Vipassana Research Institute, a dramatic growth in the number of Vipassana centers, mitra upakram, courses in prisons, schools and other institutions. To read experiences of course participants, please click here. Varied and detailed research has been undertaken to study the impact of Vipassana on different sections of the society. To read research reports, please click here. To read impact of Vipassana on society, please click here.